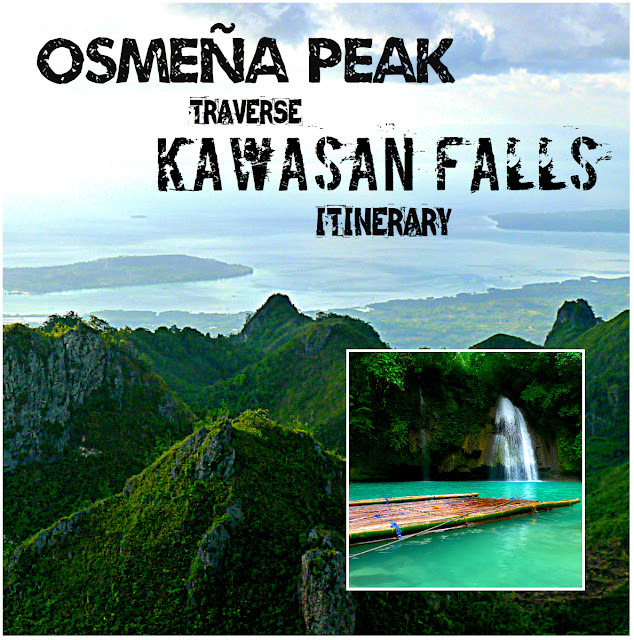 The most well known hiking trail in Cebu is the traverse from Osmeña Peak to Kawasan Falls. 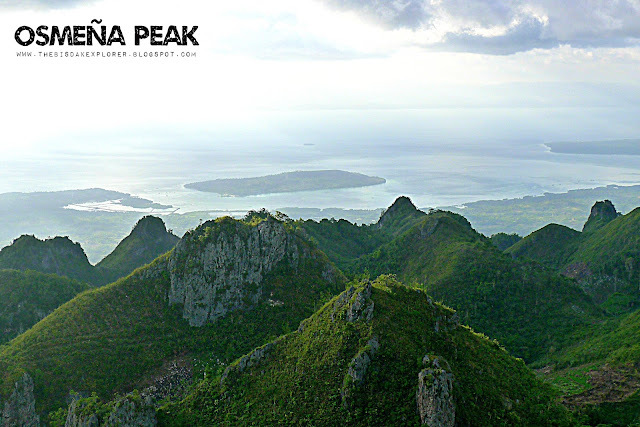 Osmeña Peak is the highest peak in the province of Cebu with the most scenic panoramic view of the mountains and seas in the south. 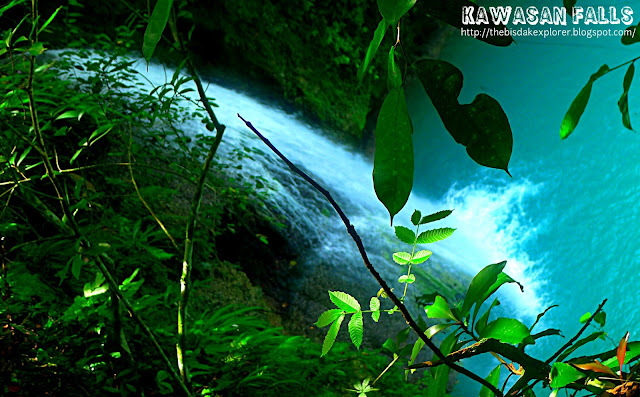 Whereas Kawasan Falls was coined by Travel+Leisure as one of the world's most beautiful waterfalls. 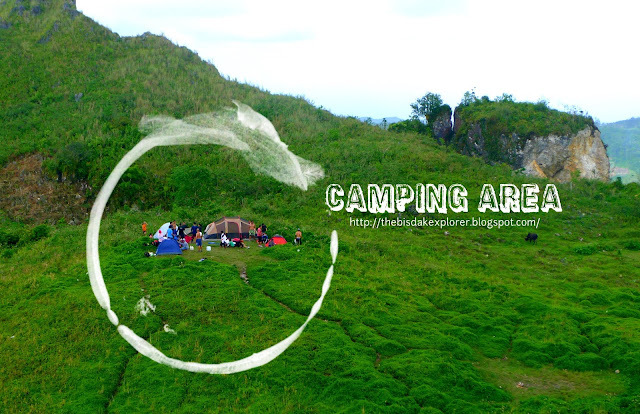 Mountain trekking, camping, more trekking and waterfall chasing is what this itinerary promises in just one trip and if that doesn't caught your interest then I don't know what will. Like any hiking plans it is always advisable to start really to avoid the harshness of the sun but when accessibility and transportation comes into play a lot of factors will be considered before planning your trek to the infamous peak. Expect the minibus to be this congested. If you don't have a private vehicle then it's going to tricky in starting an early trek to the peak. The highly recommended minibus in Carbon that takes you straight in Mantalongon has an earliest departure time of 8:00 am and two hours interval for the next one. If you want arrive there really early then try taking the big bus in South Bus Terminal which has an earliest departure time of 2 am and an hour interval for every bus. The two both has its own advantages and disadvantages. The minibus though cheaper and takes you straight to Mantalongon Market can't take you there really early. Whereas the bus in south bus terminal is a bit expensive and will require you to transfer to a habal-habal to get to Mantalongon but it can take you there in the earliest time that you wanted to start trekking. Travel Info: Earliest departure time is 8 am with 10 am, 12 pm and 3 pm succeeding trips. 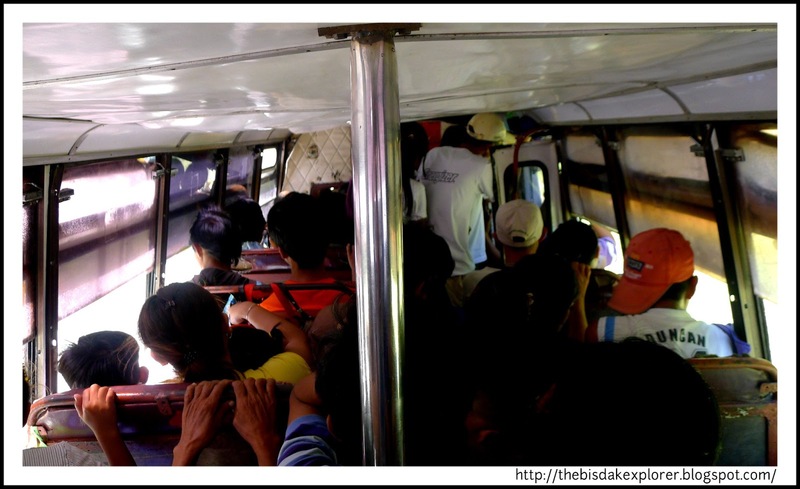 It is convenient and cost effective because it will take you straight to Mantalongon but it is a bit small, congested and crowded. Travel Info: Earliest departure time is 2 am and 1 hour interval for the next bus. 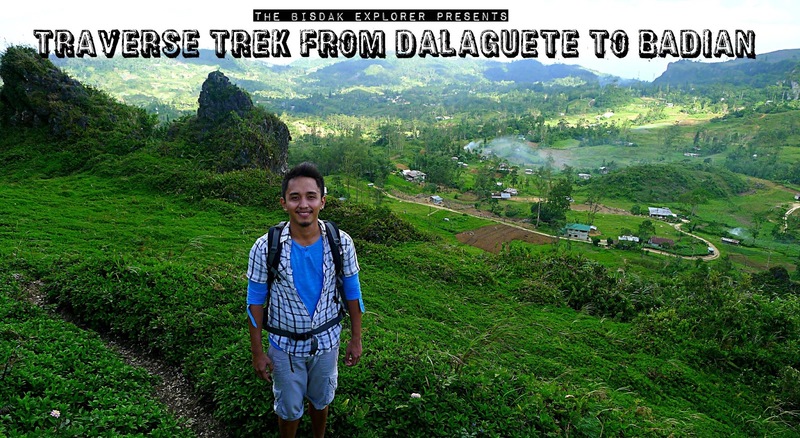 It requires you to transfer to a habal-habal when you arrive in Dalaguete and tend to cost you more but you can get to Mantalongon as early as 6 am. Note! Inform the habal-habal driver to drop you off in Mantalongon Market and not in the base of Osmeña Peak because they will charge you more with that and the essence of a trek will be lost if you'll just ride a habal-habal to get there. Inorder to really feel the challenge of a trek you must start in Mantalongon Market in your adventure to get to the peak. Some habal-habal driver will bargain to drive you off to the base of the peak but you must resist the temptation because you will miss a lot of beautiful mountainous scenery if you opt for the habal-habal ride. Mantalongon is known as the "Vegetable Basket of Cebu" so expect to see some farmville-like scenery on the way and some stunning view of the countryside. Due to it being on high altitude the temperature usually drops to 18-25 degree Celsius so expect a humid and foggy environment early in the morning and remain cold all throughout the day even on a midday sun. 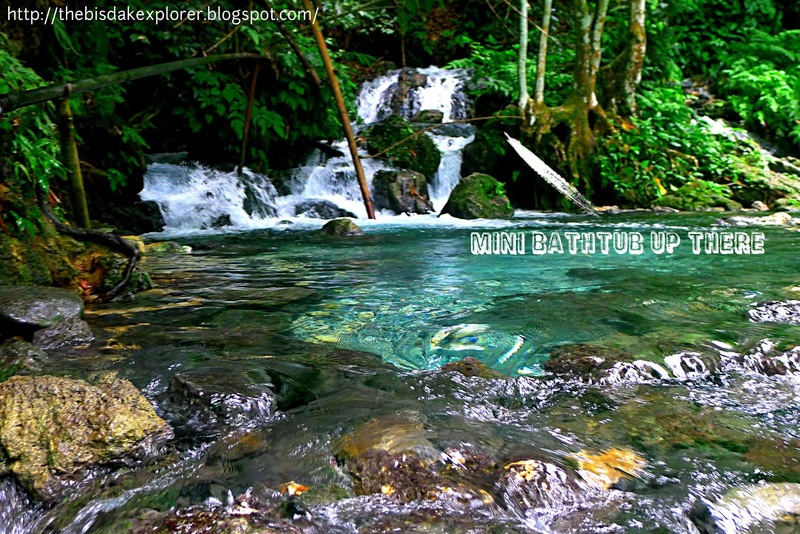 This is known as the "Summer Capital of Cebu" and some even fondly call this barangay as the "Little Baguio" in Cebu. 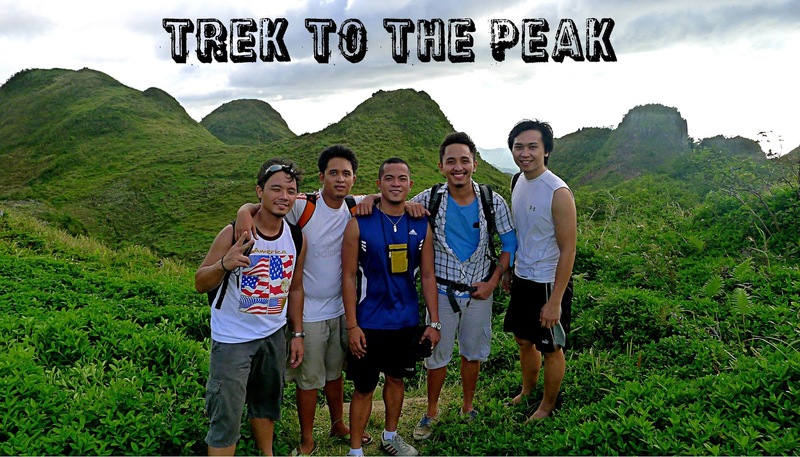 I can assure that the trek to the peak is a walk in the park for the most part because of its breath taking scenery and cool environment. An ideal characteristic for a good place to trek. The hard part is the 30 minute steep climb to the peak that promises to make you catch your breath if you are not used to this kind of activity. Slowing down helps a lot to those who are having a hard time climbing and you can easily recover your endurance due to the cool environment. 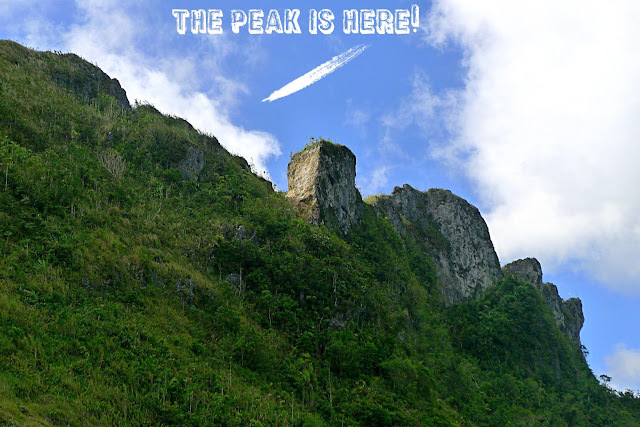 Just slow down and take time in gazing one of the most beautiful mountainside scenery in the province of Cebu. Once you reach the peak you will rewarded with a 360 degree view of the rugged peaks in the south of Cebu, Badian island and a glimpse of the province of Negros Oriental and Bohol. The surrounding peaks are so reminiscent to the chocolate hills of Bohol. It is highly advisable to camp in the peak if you opt for to go to Kawasan Falls through here. 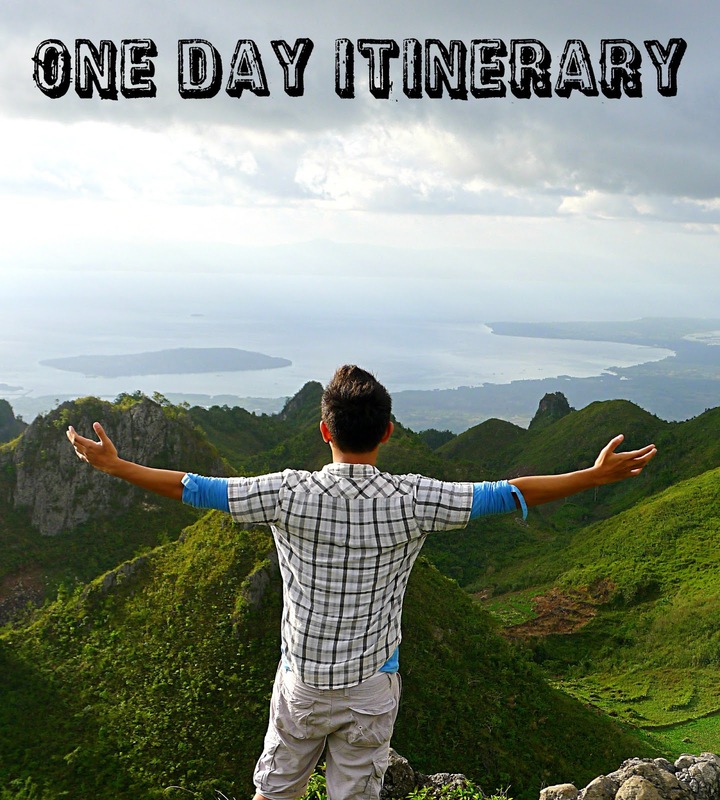 A day trip is possible but it can completely drain you and gives you lesser time to enjoy both spot. It's also dangerous to trek in the dark. Start your trek to Kawasan Falls at 5 am in the next day so you can reach Badian in around 12 nn that's perfect time for lunch. If you don't have a guide with you; you can always hire the stray kids living around the area to guide you. A deal must be made first before the trek because some tricky ones may overcharge you. 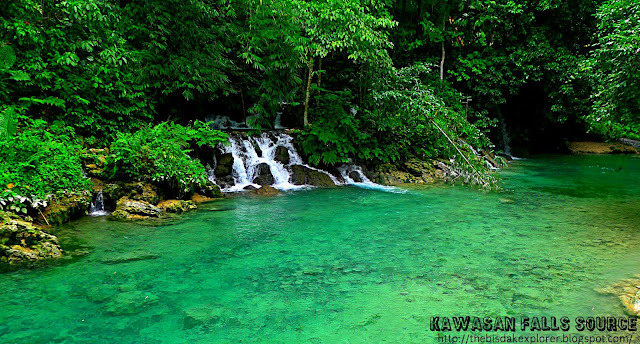 You will come out exactly in Kawasan Falls source and it's just a perfect spot to wrap up your trek. The emerald hue water is so inviting and there's even a mini bathtub of crystal clear cold spring. 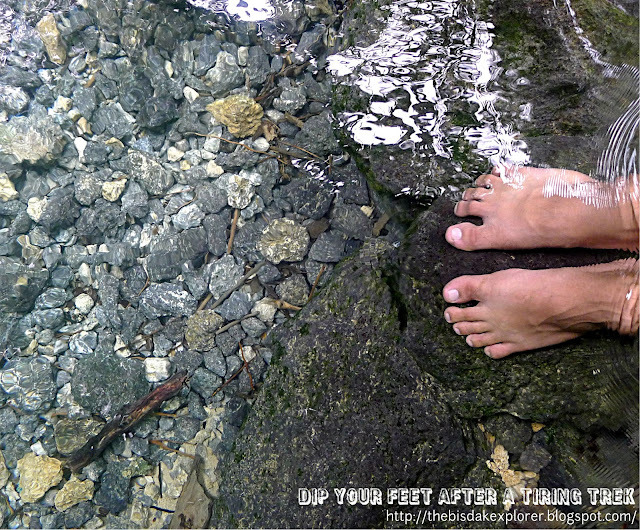 Soak up your entire body or just your feet to chase the weariness away. For those who choose to conquer Osmeña Peak only you can still enjoy a cold spring to cool down after your trek. 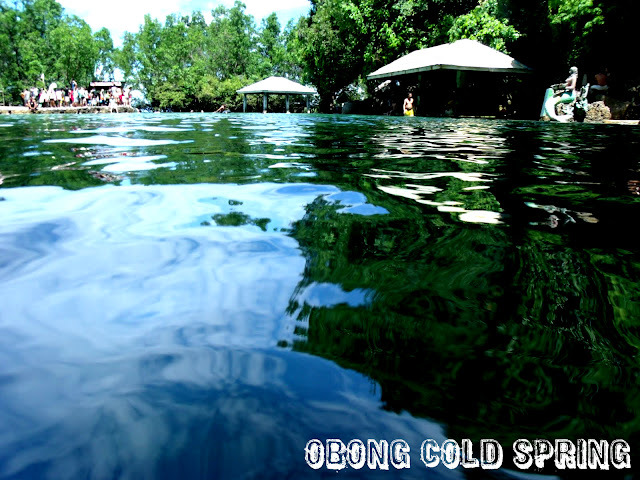 Obong is a cold spring in Dalaguete underneath the huge Balete tree. 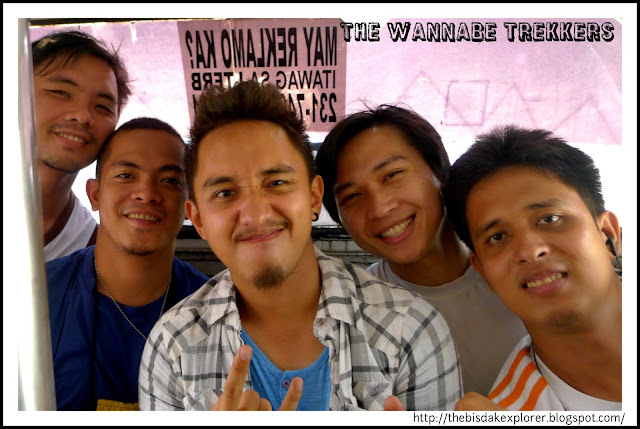 Just instruct the habal-habal driver in Mantalongon Market to drop you off there for P50. It has entrance fee of P5 and there's no one around guarding the spring you can enjoy it for free. "Walk away quietly in any direction and taste the freedom of the mountaineer. 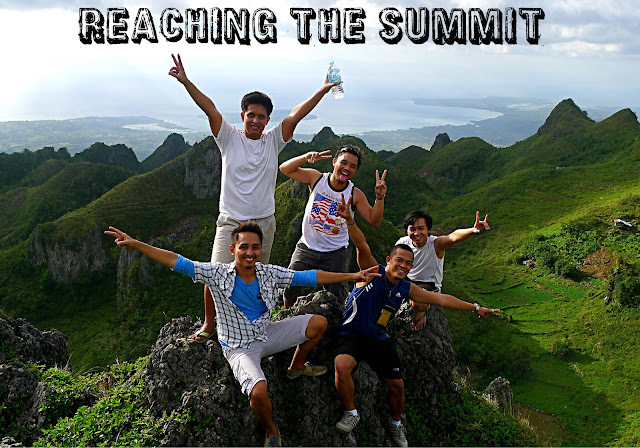 Climb the mountains and get their good tidings. Nature's peace will flow into you as sunshine flows into trees. The wind will blow their own freshness into you, and the storms their energy, while cares will drop off like autumn leaves."